Seattle and the University of Washington have a surge of rental bikes over the last few years. However, these bikes can take up parking spots and block railways, ramps, sidewalks, and walking pathways. The problem of creating barriers to accessibility extends farther than the rental bikes themselves and demonstrates the ways that we as a community can perpetuate ableism. The UW Department of Urban Design & Planning recently hosted an event that featured a conversation between interdisciplinary storyteller Jessica Rycheal and post-doctoral fellow Dr. Matt Miller. They explored the complexity of Blackness, visibility, and the power of being authentic in a world that wasn't made for you. This story celebrates the legacy of the UW Office of Minority Affairs and Diversity (OMA&D). What began as a sit-in by Black Student Union (BSU) in UW President Charles Odegaard’s office led to the creation of OMA&D as a resource for minority students. This story focused on the Department of American Indian Studies and their focus on centering indigenous knowledge, particularly with the UW’s location on Duwamish land. This program enables students to explore representations of indigenous people in every discipline and tell their story of resilience. Take Back the Night is an open mic for victims and survivors to share their stories. By breaking the silence, SARVA strives to empower victims and survivors of sexual assault to share their stories on their own terms. A scene from "Because Of Who I Am," one of the short films presented by Marcella Ernest. The event “Finding Native Feminist Pleasure in Film: Indigenous Queens who Refuse to be Princesses” was part of a series hosted by the Intellectual House titled “Indigenous Feminisms,” which explored the complexity of gender identity and how it connects to the history of indigenous people while providing supportive programming to Native American students, faculty, and staff. “Student Voices: The stories missing from our history books and textbooks,” The Seattle Times, 2019. “My body has never been mine,” Threads, 2019. “Healing starts with me: A guide to falling out of love,” Capillaries: The Journal of Narrative Medicine, 2019. “I need more than pride flags and rainbow pins to feel represented,” Self-published on Medium, 2018. “Hate wins: The only way is forward,” The Daily, 2016. For Cory Joseph, ensuring accessibility is personal. As a person with a visual impairment, Cory Joseph is committed to ensuring that Microsoft lives its mission to empower every single person on the planet, starting with its employees. He does this by holding developers and designers accountable to create inclusive and accessible products. 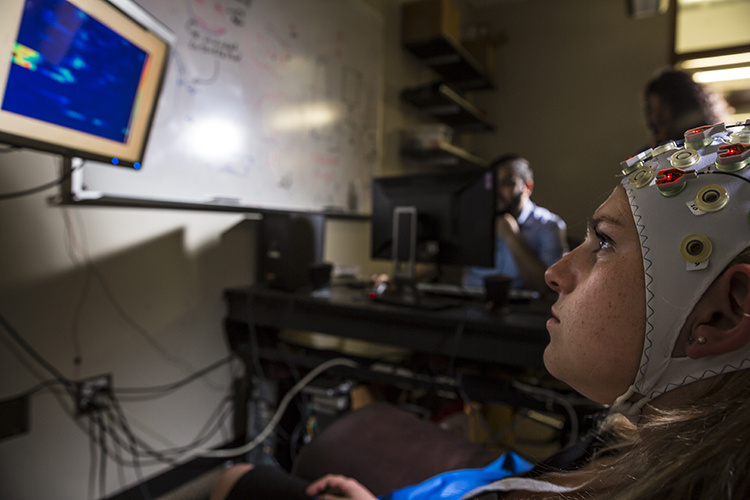 This piece summarized research on how proficient use of brain-computer interfaces (BCIs) can lead to changes in brain activity, and if changes due to learning how to use the BCI persist after the person is no longer actively engaged with the device. The article highlights the collaboration between the Allen Institute for Brain Science, UW Pathology and Internal Medicine, and Group Health that led to the expanded online resources on aging, dementia, and traumatic brain injury (TBI). Many people are familiar with the linear path to become a doctor, lawyer, or engineer, but the path to a career in research is harder to quantify. Thanks to the Summer Scholars Program at the Seattle Children’s Research Institute. Scholar alumni and current high school senior Tommy LaGuardia identified his interest in research, which he hopes to pursue at Stanford. This article highlights the goals of UW Washington State Academic RedShirt (STARS) program which strives to provide academic support, community, and advising for economically disadvantaged and educationally underserved students who want to pursue an engineering major. Every student should be given the opportunity to thrive in higher education, regardless of where they come from. This article focused on a program that support students who are historically underrepresented in graduate programs. I talked about the importance of community and sharing their experiences in a safe space.